The roles will be based in Dublin. 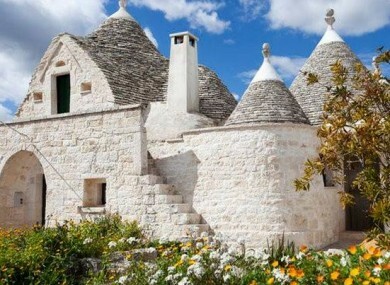 One of Airbnb's accommodation options in Italy. AIRBNB IS EXPANDING its Irish operations, taking on another 200 employees in Dublin. The accommodation rental site said the new roles will be in areas such as customer experience, human resources, finance, and IT. Aisling Hassell, head of Airbnb in Ireland, said the company has been “really pleased with our progress so far in terms of talent and growth” since opening its Dublin office in April 2014. “Our community of hosts and guests continues to thrive and Airbnb is investing further to meet its growing needs. We want to ensure we can give the very best customer experience every time someone either hosts or stays with Airbnb. Our Dublin operation is a core part of the company and we are very excited to be in a position to build on our current success. As well as creating additional space at its office in the Watermarque Building in Dublin 4, the company confirmed it will be restoring a 19th century derelict warehouse at Hanover Quay into a 40,000 square foot contemporary office space over the next 14 months “to allow for its continued growth”. Jobs Minister Richard Bruton TD said the announcement is “a huge boost” to the government’s job strategy and “great news for Dublin”, adding that Airbnb is “one of the most exciting companies on the internet”. The firm already employs about 300 people in the capital. Martin Shanahan, CEO of IDA Ireland, said Airbnb is “one of the fastest growing companies in the country”. “Airbnb has found a great fit for their staff in the Silicon Docks area where they have already have one of the most modern working spaces in Dublin. Their new building will allow them to continue on their path of rapid growth,” he added. Email “Castles for everyone: Airbnb to create 200 jobs in Dublin”. Feedback on “Castles for everyone: Airbnb to create 200 jobs in Dublin”.